Christmas has always been a special time for Ex Cathedra, and our roots are firmly established in the wonderful repertoire associated with this joyful time of year. In our 40-year history we have made two LPs, two cassettes and four CDs of Christmas music. 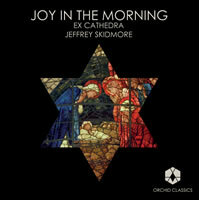 This is the first recording which features the choir, Consort and our Academy of Vocal Music.